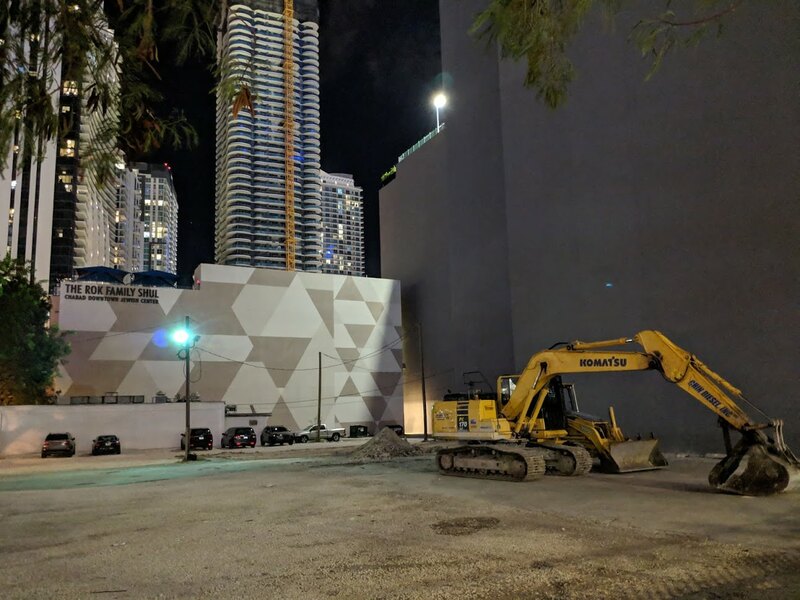 OKO Group has filed for a construction permit to develop land they own across from Brickell City Centre. Site and soil improvements costing $6 million are to be made, according to the permit. Civic Construction is listed as the contractor. As of last week, a parking lot operating on the site has been closed, and construction machinery has been moved onto the site. OKO also recently filed for FAA approval to build an 839-foot tower on the site. Records show that the there is a separate pending permit to demolish a building housing Chicken Kitchen. Wow nice height. I’m hoping they provide a generous to the sidewalk to help mobility. This area is close to be by far the densest in Miami. I’m gonna miss that chicken kitchen. At least there’s another in downtown. The Brickell one is better, the one next to MDC and 7/11 in downtown chicken is to dry. That’s the beauty in watching a city grow. Once downtown finally comes to be in the next decade, the economic demand for quick eats like Chicken Kitchen will ultimately lead to tons of quick eats like CK to pop up throughout the area. Just gotta give it time but supply/demand economics always wins out. Very true. I just hope the restaurant market evens itself out a bit more. Everything in Brickell that has recently opened is overpriced and mediocre. $15 for three tacos? No thanks, I’ll head to Little Havana and spend $6 for something infinitely better. Take the 7-Eleven with it next door. Have renderings EVER been released for this tower? The ones available online are for a different development. The current design will be completely different. The Chicken Kitchen should be declare a historic site to prevent demolition. Please, that garbage can relocate almost anywhere.